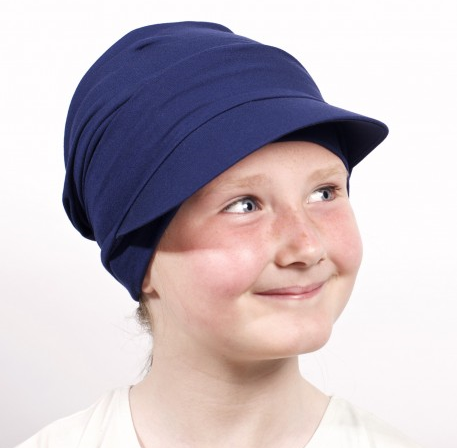 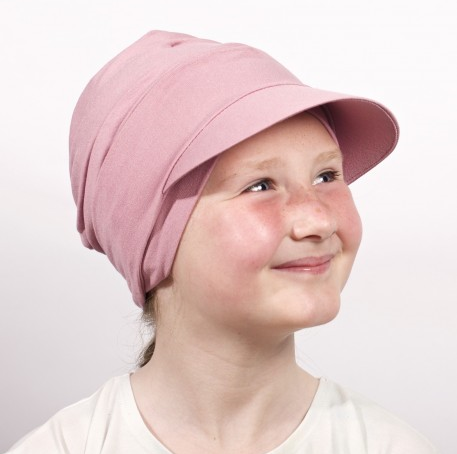 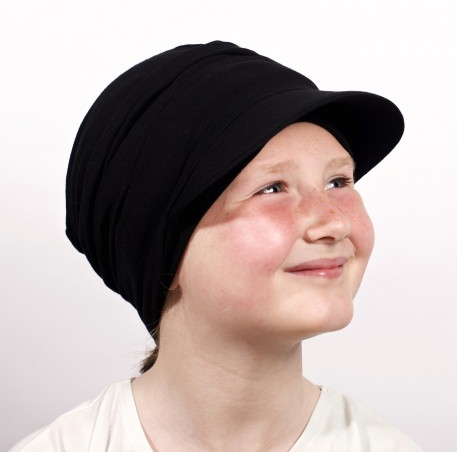 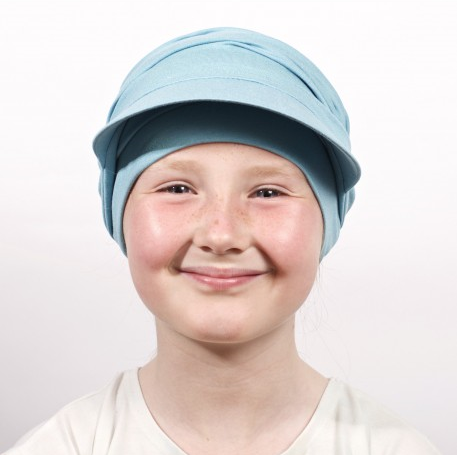 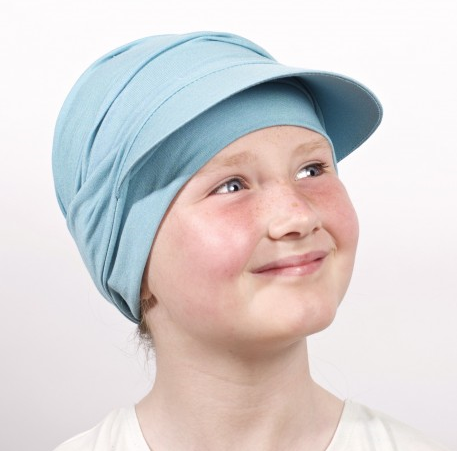 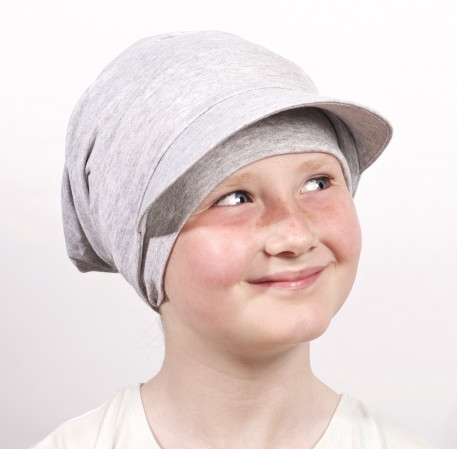 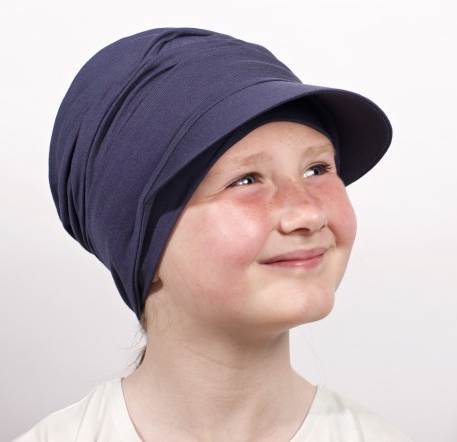 This hat is so versatile, the ideal chemotherapy headwear. 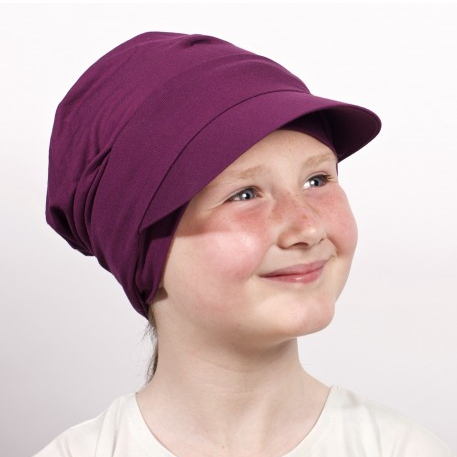 The peak is on a jersey band which easily blends into the folds of the fabric on the hat. 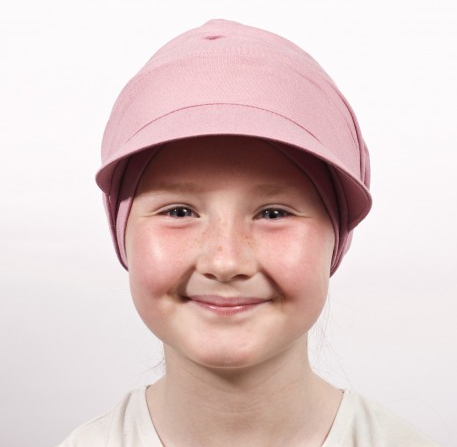 When the peak is removed you are left with a cute ruched hat which gives height to the head and is soft against the scalp.